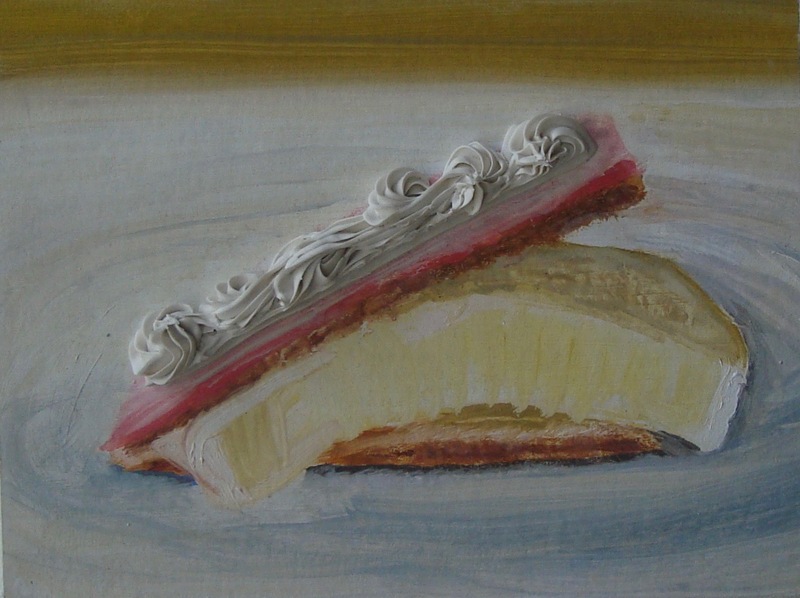 In this series of paintings, young artist Liona Dekker shows five different stages of a tompouce. In her paintings, the subject undergoes a transformation: from perfectly made pastry to collapsed mess.When Dekker paints she is mainly occupied with her material, structures, colors and paint thicknesses and the use of contrasts. Her perception for the subject is leading during the painting process. The tompouce is applied to the carrier in a layer of thin paint. By then applying a thick substance the painting becomes dimensional and tangible. The pasty, white paint gives the association with whipped cream and makes you feel tempted as a spectator. Right?